Today I have a beautiful card to share with you by Siv Ella Anderson. 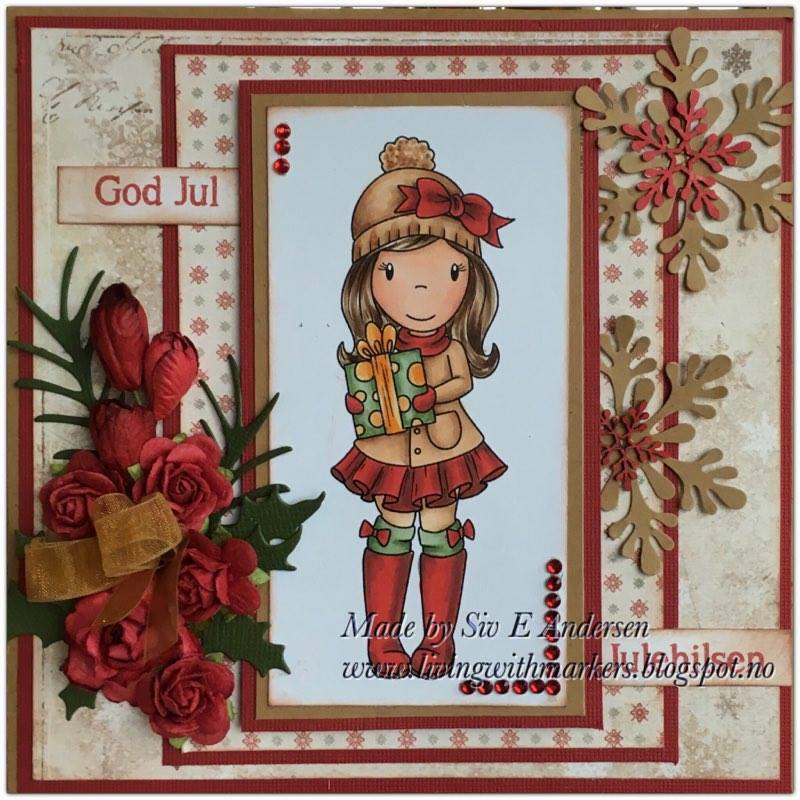 She used Winter Gift Emma image to create this sweet holiday card. You can see more of her creations HERE. 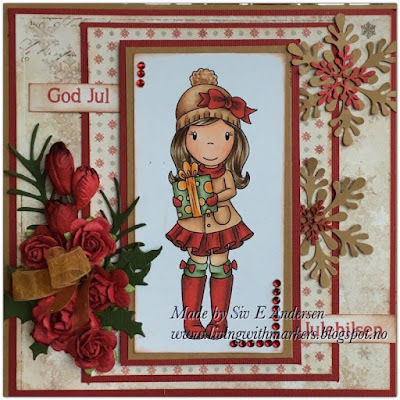 So pretty, and love the colors used, as well as the snowflakes and pretty flowers!